1. What kind of insulin management mode do you use? Ally pumps insulin 24/7 using the Purple Medtronic MiniMed Revel. We change Ally's pump site every 3rd day. We recently switched to the new Mio infusion sets and really like them. 4. What are your basal settings? Wow, Reyna needs to teach me how to do that! She has 7 different basal settings for Joe....impressive pancreatic work my friend!! 6. What are your meal ratios? I have heard others say this too...Ally is more insulin resistant with breakfast than the rest of the day. At this point, we do not make any changes for PE at school. It's hard because one day may be a very light activity and another day very strenuous. Ally keeps her insulin pump on for PE and so far it does not seem to bother her...wearing her Tummietote by Tallygear, of course! She also goes to the clinic and checks her BG and has snack shortly before PE, so I know that she is not going into the acitivity low. She also checks her BG at the end of the day (which is right after PE) before getting on the bus, so again I feel comfortable that she is not low after this activity. Ally is also a swimmer and a soccer player (and is going to try basketball this winter). We take her insulin pump off for all of these sports. This is another area where I feel like I don't have it all figured out yet. (Ok, let's be honest...there isn't really much about diabetes that I can say, "Yep, got that figured out!") What works for Ally seems totally different from what I hear other people do for activity. See, Ally tends to run high after exercise. Immediately after anyway. HOURS later she drops. I mean like 12 hours later! So, sometimes I pre-bolus for her basal before these activities...and sometimes (even though I KNOW she won't go low during exercise -she never does!) I still worry about her going low, so I don't pre-bolus for the basal and just correct the high after. Some other "naked truths" in this area have given me the idea that possibly I should set a temp basal a few hours AFTER her exercise. Although, I'm still trying to figure out the timing of that since it is usually so many hours after. Oh those wonderfully, awful foods!! I'll take Halloween candy over those foods anytime. Our MiniMed pump has a really cool "Dual Wave" feature...which I am learning to use. Sounds like the "combo" that I hear some of you talk about. You can do a % of bolus upfront and stretch the remaing % out over an amount of time that you choose. It has taken a little bit of trial and error...and we still don't have it right! I also think that what works or one child may not necessarily work for another, so even when I get ideas from other wonderful D-Mamas, I have to make changes to fit Ally's needs. 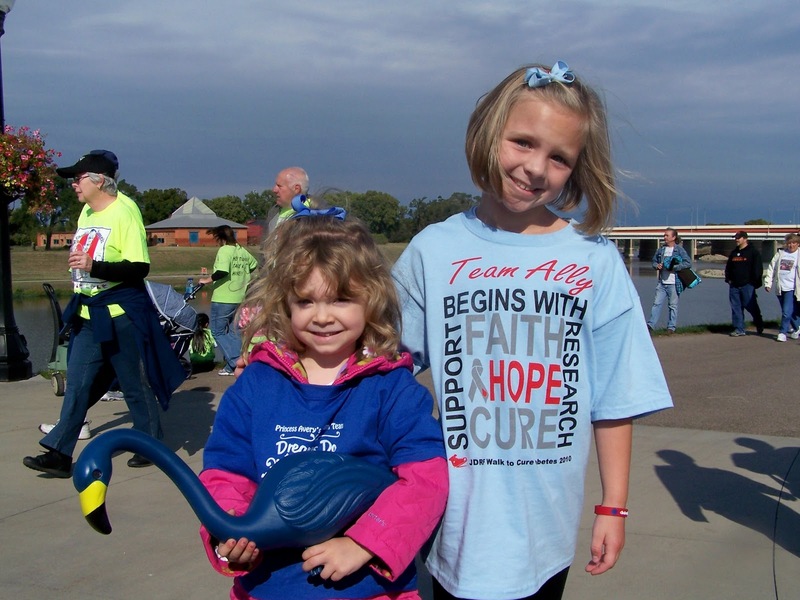 We download Ally's pump and CGM to the CareLink online program. It is great! I can look at all kinds of reports...and the best part, my endo staff can log on and see all my data if I need help making changes. However, I do still keep a simple log because I only download every 2 weeks. I need to see it on a daily basis to help me make decisions about activity and carbing or bolusing! 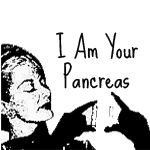 Ok, I took Reyna's challenge and exposed myself "as a naked pancreas" to the whole D-OC. For possibly the first time EVER (well, since 2.10.09 anyway), Diabetes took a back seat last night. Lexi has had strep throat, but has been on an antibiotic for 3 days and I thought she was getting better. 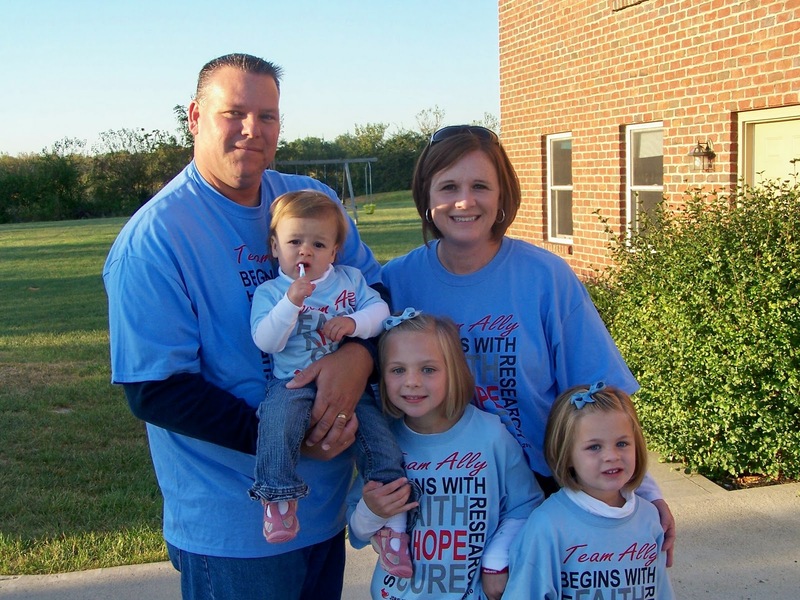 Ally's soccer team made the tournament, so they had an extra practice scheduled last night. We were rushing around in our usual..."get off the bus at 4, check BG, hurry up and do homework, eat dinner, put soccer clothes on and get to practice by 6" mode. Lexi was really cranky, I felt her and thought boy she feels really warm. Fever is 103*!!! How did that happen? She had seemed fine all day. In the midst of this chaos, Jessi somehow fell and landed on her arm. She is a tough cookie, who takes plenty of spills. So, when she was complaining that it really hurt and her arm was just hanging there, I figured we'd better go have it checked out. You see where this is going? My younger 2 girls, the non-D ones, were on the forefront of my mind...which is completely out of the ordinary. Ally is usually my first thought, at all times. She says "Daddy has it." I panic....WHAT?!!? Now, it's bad enough when we forget her diabetes bag and are temporarily without her meter or fast acting carb, but her pump...that thing that keeps her alive???? We jumped in the car and I started calling Keith's cell phone and texting him. No answer. I decided to guess which Urgent Care he had taken Jessi to and drive there to retrieve the goods. As I pulled out of the park, my phone started ringing. "Keith! You have her pump!" He told me to calm down (that's a usual comment that he makes to me :) Then he said that the diabetes bag was sitting on the bleachers at the soccer field. Oh my goodness! We turned around and made our way back to the field. And yes, almost in the dark, we were able to retrieve the pump. 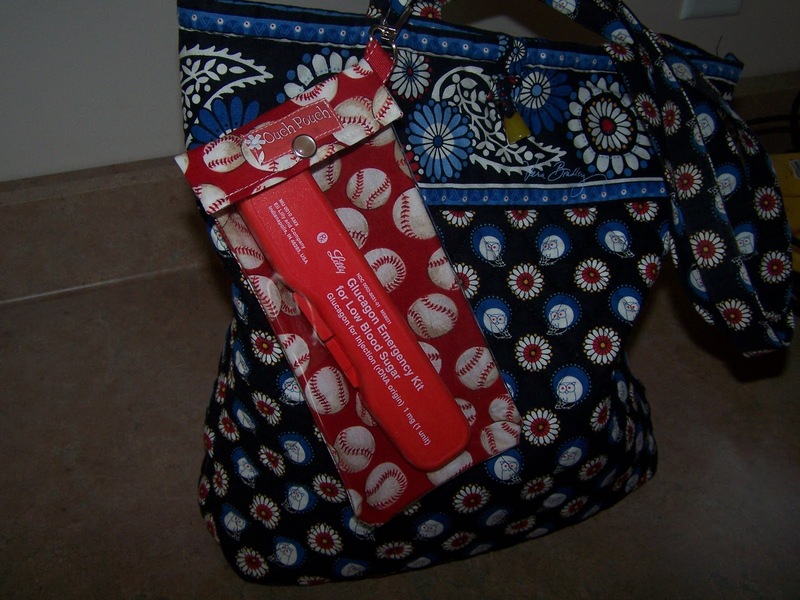 (I decided not to lecture him about leaving a $6000 life-saving bag unattended on the bleachers!) All ended well. 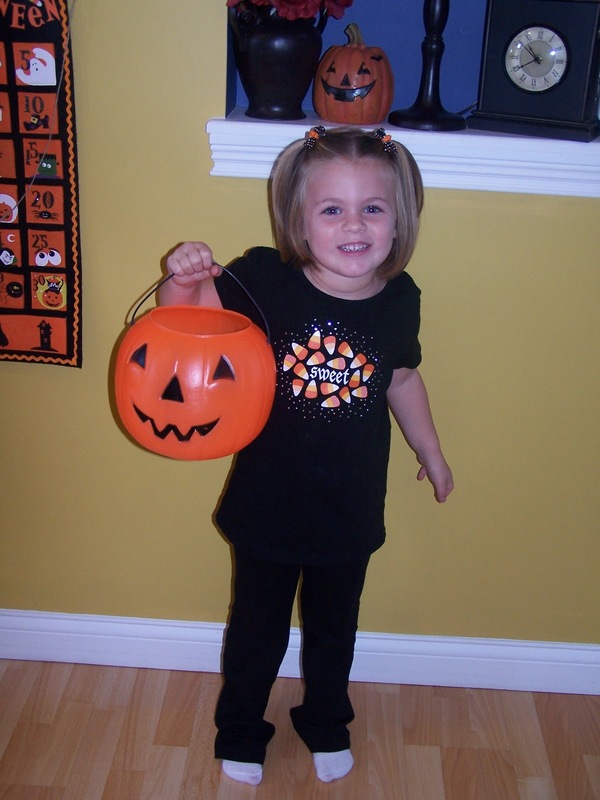 Jessi assures me that she will be able to hold her trick or treat pumpkin with no problem! And on another note....I am so proud of my friend Hallie for taking the Driver's Seat and advocating for Type 1 Awareness last night. 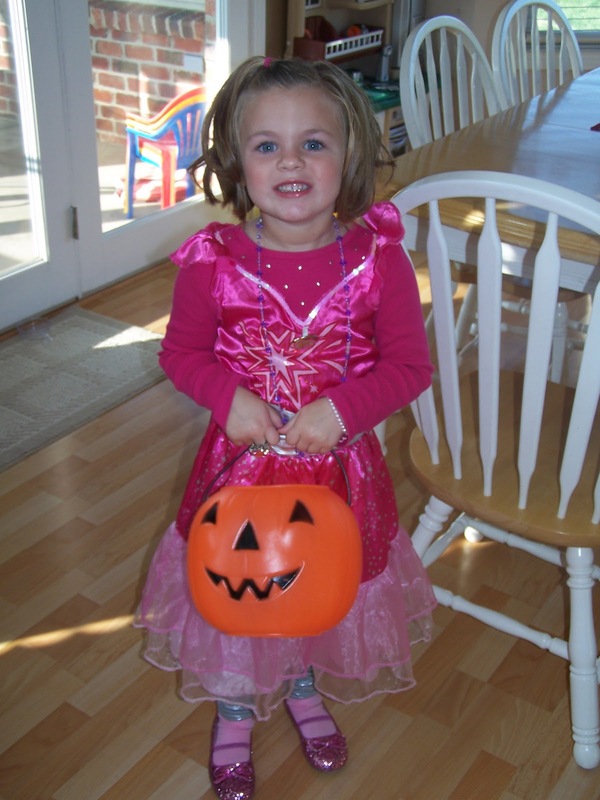 To read about her speaking engagement at the Lion's Club, visit The Princess and The Pump! Her words are very moving. 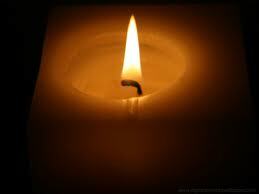 This virtual candle is lit in your honor. I did not know Eilish or her family personally. Although, Type 1 Diabetes is personal for me...And maybe that is why I am so heartbroken for this family. This is why we don't sleep through the night EVER! 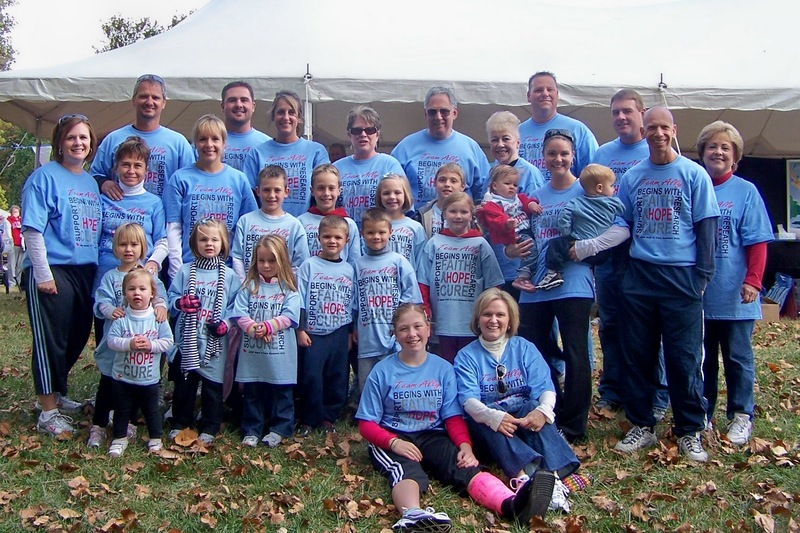 This is why we Walk for a Cure. This is why I get so frustrated when people say things like "...at least her diabetes is controlled." Type 1 Diabetes is not "controlled." I loved the way that Reyna at Beta Buddies put it. It was exactly what I wanted to say, but in better words, so I asked her if it was ok to quote her. "Type 1 diabetes is difficult, at best, to manage. It is not a beast to be "controlled". It can kill. The medication used to treat type 1 Diabetes is insulin. Insulin is a hormone. Insulin is deadly if too large of a dose is given. Insulin can cause seizures, coma, and even death. Insulin is the only treatment for type 1 diabetes. Without insulin, persons with type 1 diabetes would die. Diabetes affects EVERY organ system in a persons body. 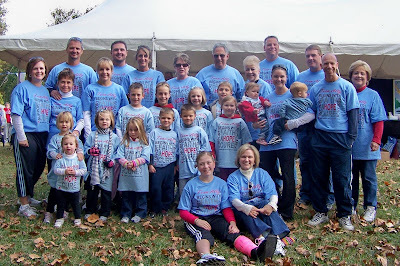 These people look totally "normal" from the outside, while this disease wreaks havoc on their vasculature and organs." Yesterday, after I learned of this tragedy, I was kind of like a zombie walking around my house. Was it because I'm tired? Partly. Because I'm in shock or denial? Mostly. Ally was diagnosed with Type 1 Diabetes a year and eight months ago. Sometimes I think that it is possible that I am still in shock. When I hear about the death of another child because of T1 diabetes, it really shakes me up! Could this be my reality? 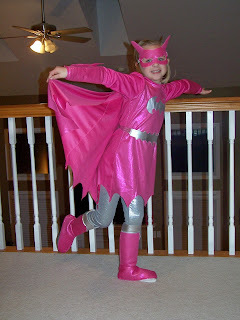 Do I have to worry every day and night that this could happen to my precious little girl? That I could not bear. I am definitely in denial...and today I am shaken! So, this morning, when Ally came back in for that second hug, I didn't say "Hurry up, you'll miss the bus!" And when she hugged me and said, "I want to stay here and snuggle you all day," I almost caved and let her! Hug all of your precious children a little bit tighter today....God Bless the family of Eilish. 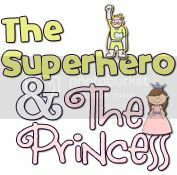 This week's Sugar Bolus is being hosted by The Superhero and the Princess. Have you entered in one of the totally cool giveways yet? Well, let me give you a couple of good reasons to enter. First, I WON!!! I can tell you first hand how cool it is to get free stuff! 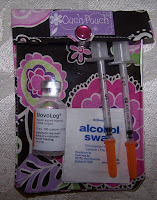 I was the lucky winner of the Sugar Bolus hosted by Jen at I Am Your Pancreas last week. Thanks Jen! And Second, this week's giveaway is a Super Awesome one! Tracy at The Superhero and the Princess has not one, not two, but three awesome prizes. AND not only that...she even has a prize for a runner-up or two. If you want to know what her awesome prizes are...just click right here for the Super Awesome Giveaway! Remember my Trick or Treat Giveaway?? Ok, so I guess there were a few TRICKS involved in this giveaway! 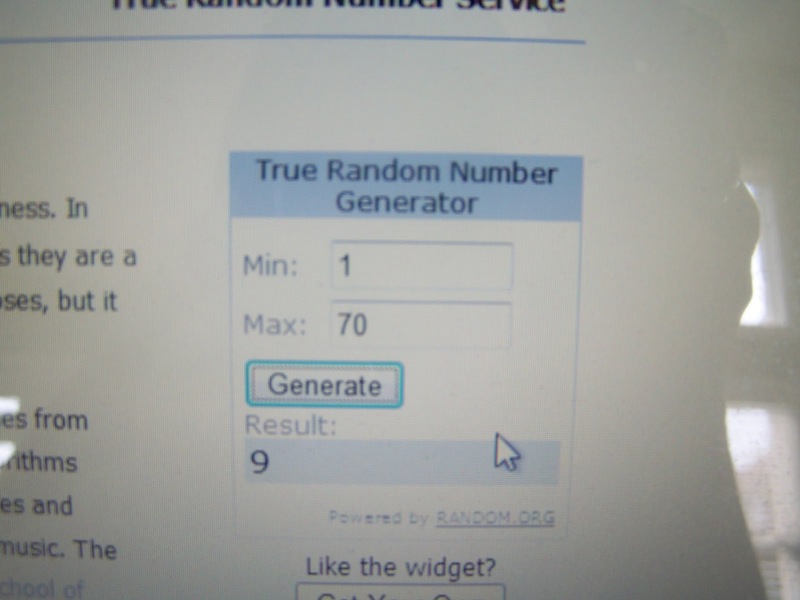 The WINNER did not claim these awesome prizes, so I went back to http://www.random.org/ and we have a new WINNER! Congratulations to comment #9.... REYNA from Beta Buddies!! 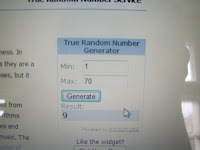 You are the new WINNER of my Trick or Treat Giveaway! Hurry, you have 48 hours to claim your prizes! TRICK OR TREAT!! We have a WINNER! First of all, I would like to thank all of you for visiting my blog and entering this fun contest. The good news is that whether or not you are today's winner, all 3 of these items are available and affordable. Want to try out the Drink Stick Wallet? 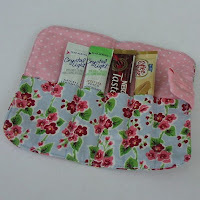 Visit Brambleberry Cottage on ETSY. Did you especially think the Ouch Pouches sounded cool? 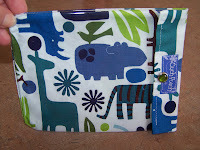 Visit PillowSewCute on ETSY. 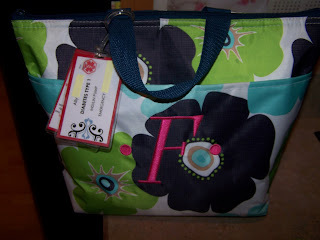 And if you would like to order a thermal tote (or anything else) from Thirty-One and support JDRF, you still have time! 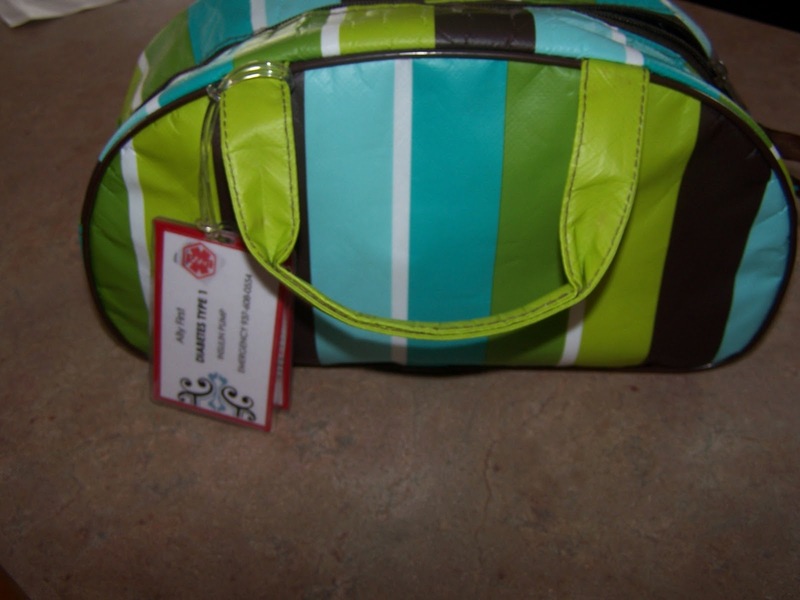 Kelly's Thirty-One JDRF Fundraiser ends on Tuesday, October 12th. So be sure to visit THIS LINK TO THIRTY-ONE before Tuesday. And now let's get to the WINNER of these awesome prizes!! There were 70 entries (71 comments minus 1, because #11 was my comment). 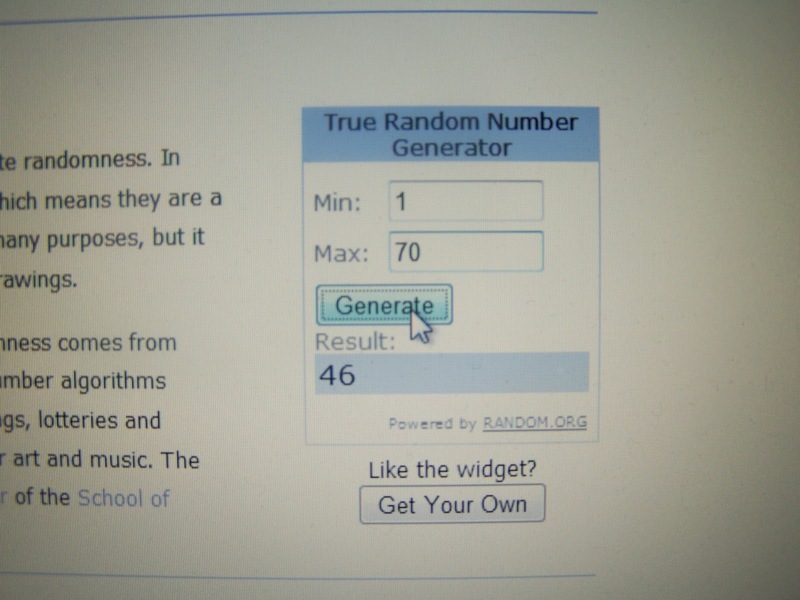 The WINNER is #46! Congratulations to AMANDA!! I hope that you will enjoy getting organized as much as I have! You have 48 hours to contact me at boxofchocolatesblog@hotmail.com to claim your prizes (or I'll have to choose a new winner)! Don't forget to check out the Thirty-One link and choose the pattern for your small thermal lunch tote. 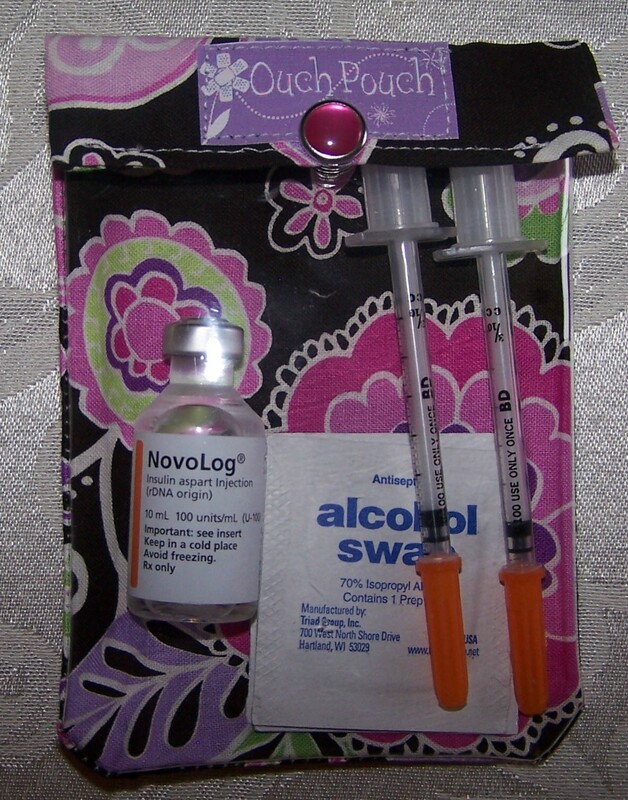 If you did not win today, don't get down....Jen is hosting the next Sugar Bolus! So hop over to I Am Your Pancreas and check it out! Oooooh! We love to play tag! 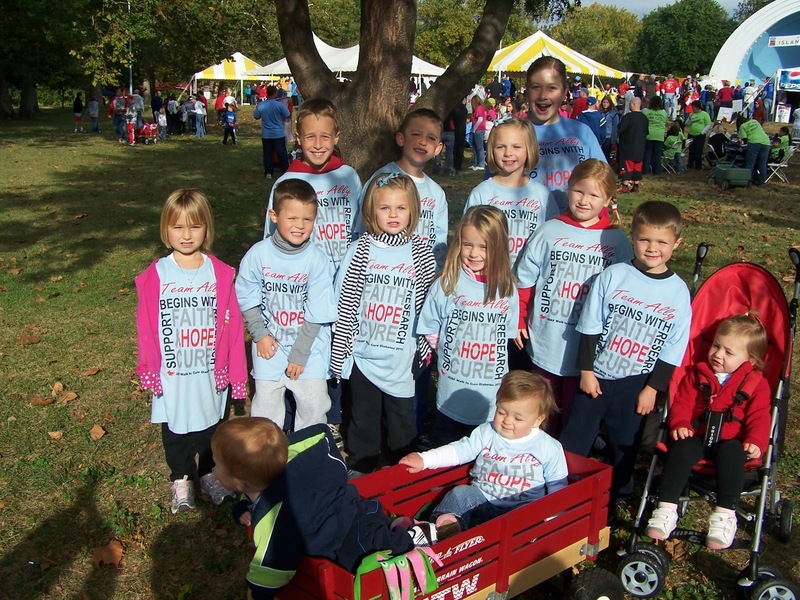 Heidi and Jack at D-Tales started this cute Kids With Diabetes MeMe. Then they passed it on to Tracy and the Superhero from The Superhero and the Princess. 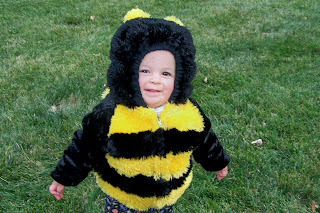 They sent it on to Reyna and Joe from Beta Buddies who then bounced it on over to Kris and Bumble Bee from My Sugar Bugs. 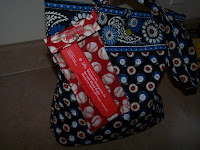 They handed it off to Meri and her 3 Boys from Our Diabetic Life, who gave it to Lora and Justin from My Diabetic Child. And they have tagged Me and my sweet Ally. In the morning, I was like...you thought I was being silly because you woke me up for school and you thought I was being silly and when we went downstairs I wouldn't even let you do my hair or anything I just layed down on the couch. I felt sick and when we dropped Jessi off at school....Mrs. P (her kindergarten teacher) saw me and she said I hope you feel better..come back to school soon. I didn't feel like doing anything. You took me to the doctor and they couldn't help so they said you have to go to the emergency room. They pricked my finger and I was super HI...it seemed like I was low now that I know something about it. 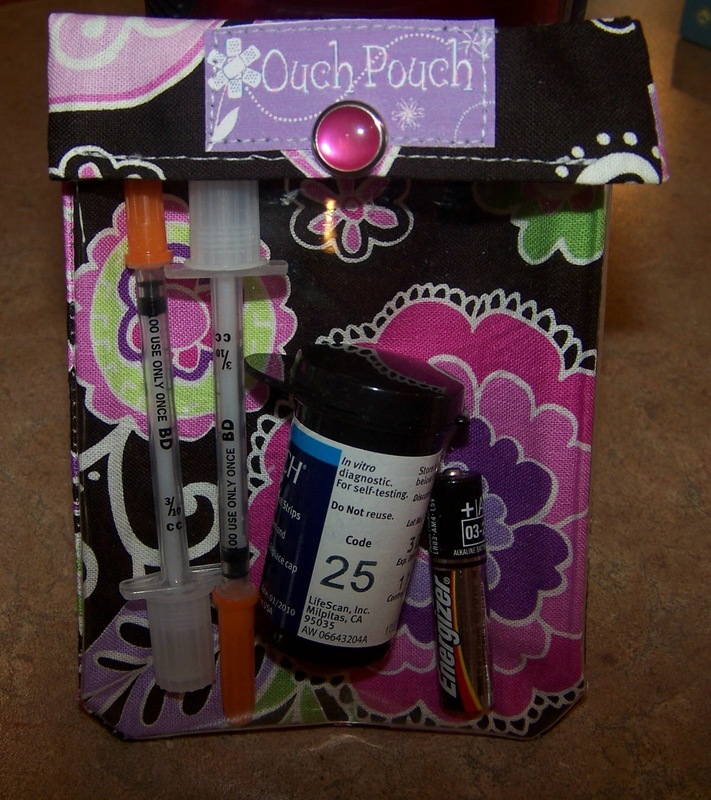 Really, kind of like, on me...when you prick my finger 250 is high, but for my CGM it only alarms for 350...for now. Everything...almost everything! (Can you think of one thing?) Ummm.....site changes and finger pricks. I'm not scared of it, but I just don't like it. Well, I don't like it. I don't think you'll like it either. Mac-n-cheese, but my favorite dessert is dirt cake. Cheese stick, salami & cream cheese. It's like a ...a blog is like a website only its only when you list it in your favorites. Yes..everything is on your blog! To tell everybody to donate money to JDRF! (Any other reasons?) So they can learn things about diabetes. That we can find a cure... and to be magic! I have a LOT of best friends, but Morgan is my best best friend. A lot of things...(Can you give me one thing?) Um....let's see...she's nice. Ride on the neighbor's UTV and play with my friends. If there is no cure, I'll be a scientist. If there is, I'll probably be a teacher. Fill in the blank. Ally is___________. There is no right or wrong answer. Ally is...a kid with diabetes. And she likes red. Or Ally is nice. Ally wanted to tag Sweetpea "because she's so cute!" So, Hallie and Sweetpea, you're IT! Today we walked in the JDRF Walk to Cure Diabetes. 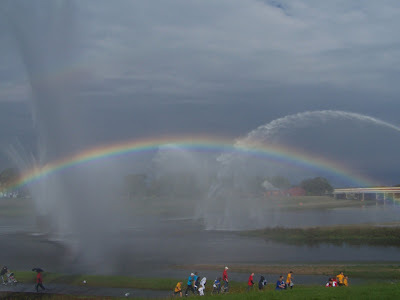 It looked like rain, but it turned out to be a beautiful day! We would like to thank all those of you who, in any way, shape or form, supported Team Ally this year. 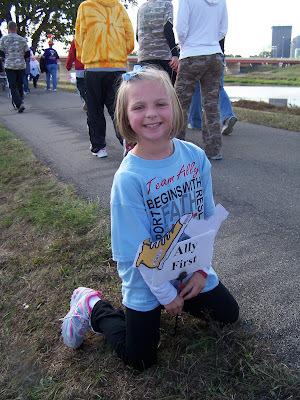 "Walk Day" is also a day to show Ally how much she is loved...and boy did she feel loved today! I could tell she had a really full heart, being surrounded by so many family members and friends. She puts up with the "unfriendlies of diabetes" every.single.day. This was a day to turn it around and focus on HOPE. And yes, that is Ally with Sweetpea from The Princess and The Pump! And guess what, the fountains turned on as we were walking along the river and a beautiful rainbow appeared! Seemed like a symbol of Hope for sure! 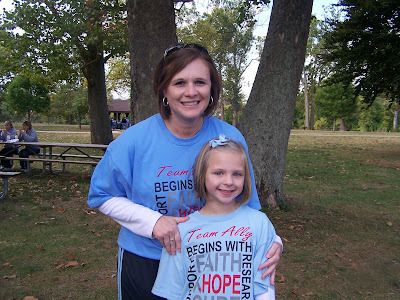 So, again, thank you for supporting Team Ally...whether it was through a donation to JDRF in Ally's name, taking part in the walk with Ally, sending us words of encouragement or praying for a cure! We appreciate it ALL so very much! No Tricks, Just Treats!....The Perfect Time for a Sugar Bolus! Can you believe it is October already? Where do the weeks go? Well, this IS the month of TRICKS and TREATS, right? I know that D will do nothing short of provide the TRICKS for all of us this month....So I will provide the TREATS!! 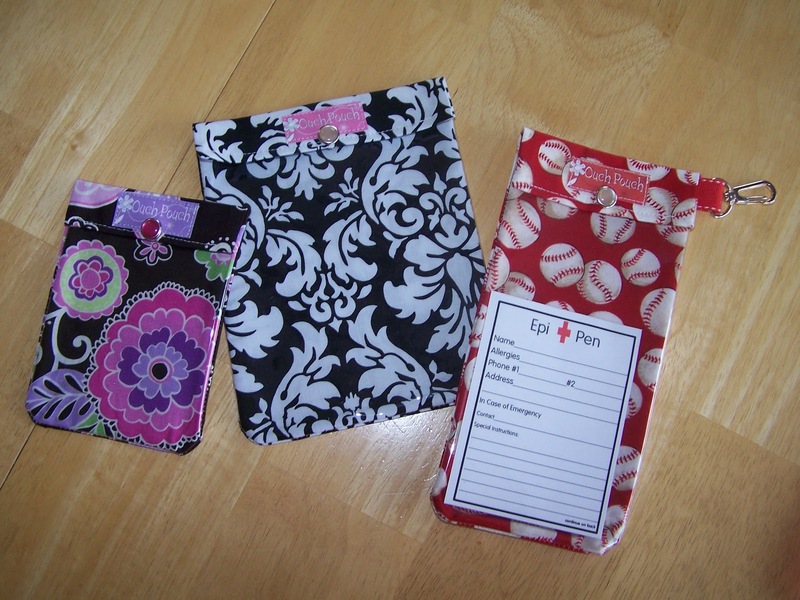 Not one, not two, but THREE TREATS for one lucky reader! 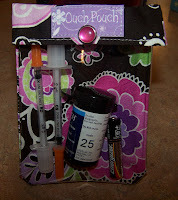 I am always looking for ways of organizing all of the supplies that I carry for my daughter with Type 1 diabetes. While browsing on ETSY one day, I came across these sweet Drink Stick Wallets at Brambleberry Cottage. Nanci has a loved one with Type 2 Diabetes. She originally designed these wallets for him to carry his drink sticks to work. 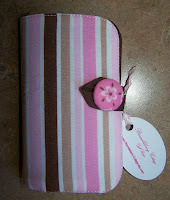 ﻿Nanci at Brambleberry Cottage so generously sent my Sweet Allison one of her Drink Stick Wallets to try out. What a TREAT. 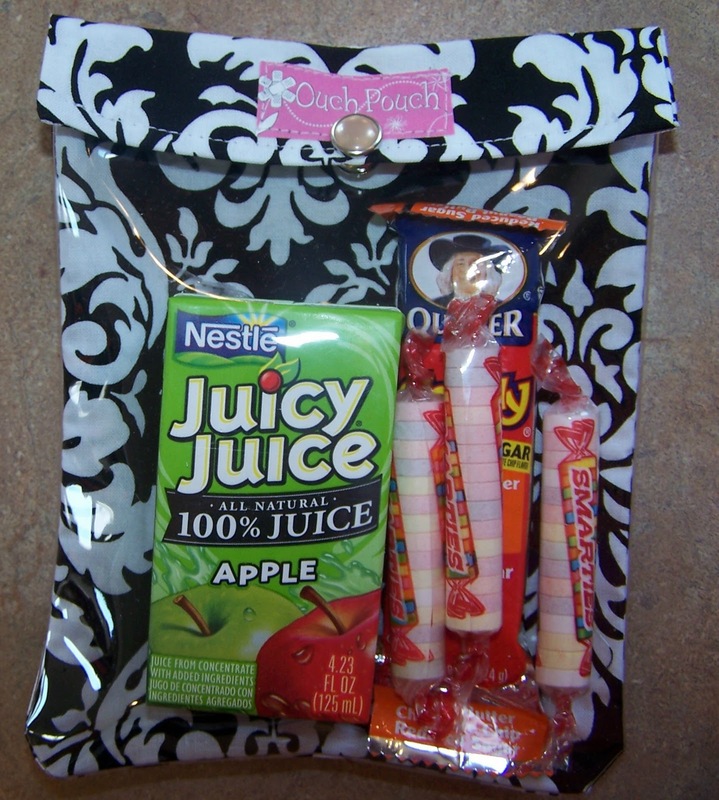 But the TREATS are not just for me ...she sent a second Drink Stick Wallet for one lucky Life is Like a Box of Chocolates reader to enjoy as well! Thank you Nanci! And Look! It's filled with TREATS! Still no TRICKS! But now it's time for TREAT #2! 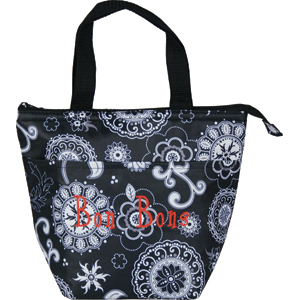 with an easy-to-view clear front pocket that will neatly hold YOUR owie supplies! The Ouch Pouch (don't you just love that name!) comes in several sizes. I tried out the Medium (5x7) and the Small (4x5) Ouch Pouches. 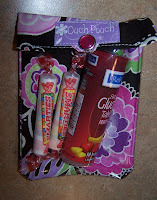 They also come in Large (6x8) and a special Epi Pen pouch (4x8). 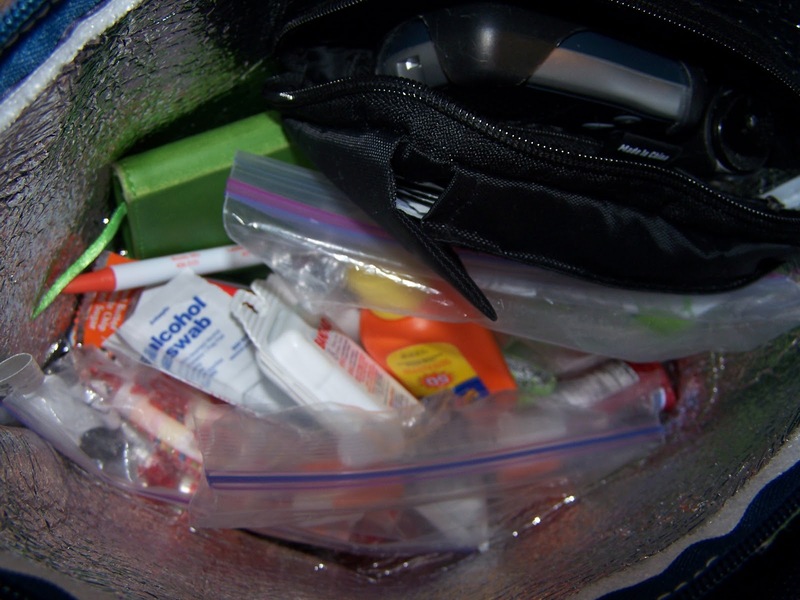 As I was saying, my diabetes bag is an organizational nightmare! Don't believe me? See for yourself! 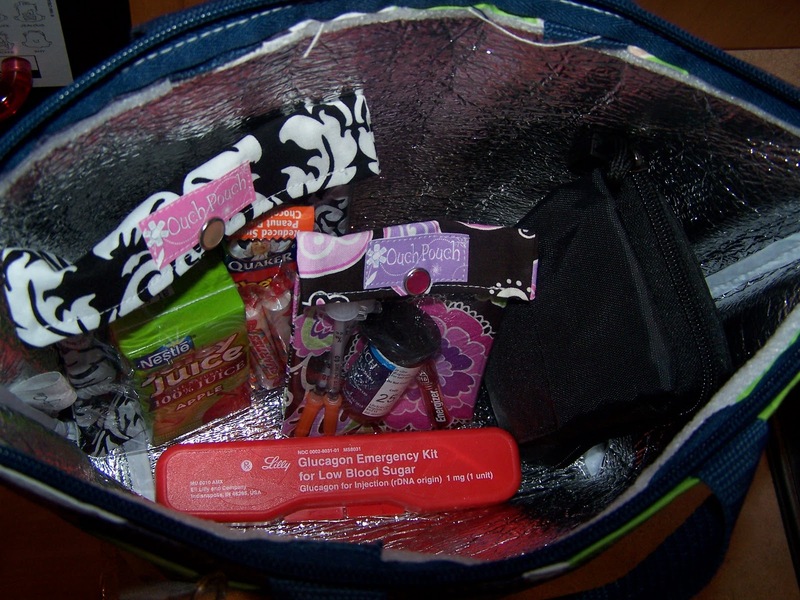 syringes, insulin bottle, extra batteries, and more. 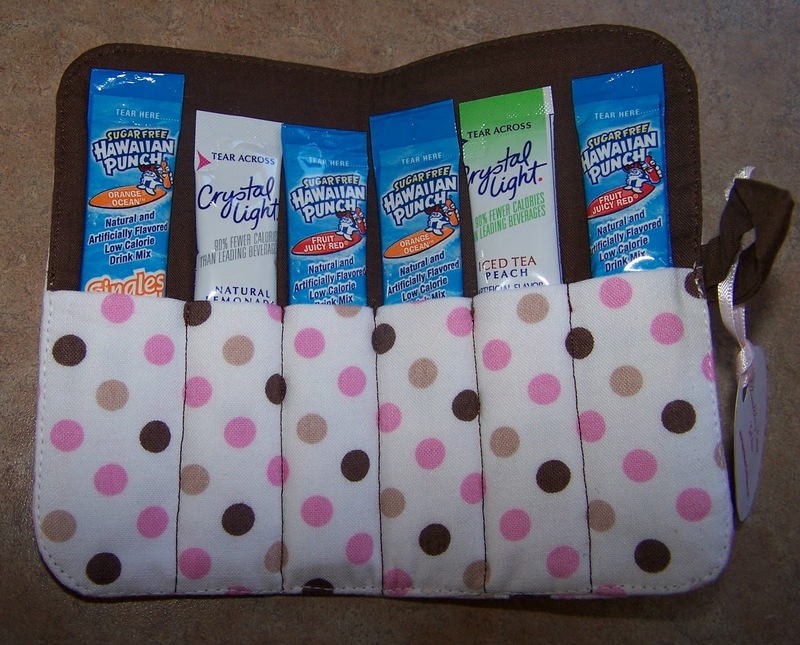 The medium Ouch Pouch is my favorite! 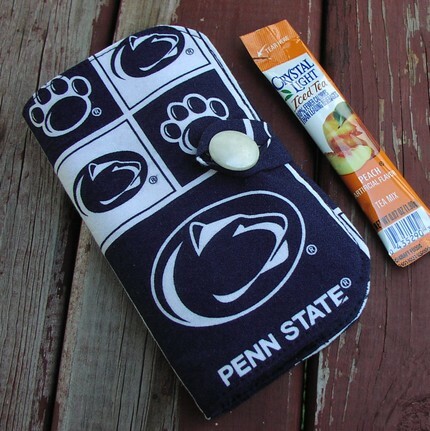 I can even fit a juice box in that sweet thing! 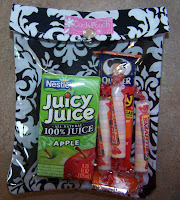 The best part, look how narrow and compact this pouch is with the Juicy Juice box, granola bar and Smarties all inside. And now you are wondering where the TREAT for you comes in, aren't you? Well, here it is....PillowSewCute has donated this Ouch Pouch for the lucky winner! This medium Ouch Pouch in Zoo Blue fabric can be yours! You want to see how my diabetes bag is looking these days, don't you? But wait...What is TREAT #3 you say? Why the bag of course! I use this thermal tote from Thirty-One for our diabetes bag. A fellow D Mama is hosting a Thirty-One party in which 100% of the profit will be donated to the Juvenile Diabetes Research Foundation (JDRF). Pretty cool, huh? So, if you are feeling lucky, head over to the Thirty-One JDRF Fundraiser hosted by Kelly Harp and start browsing your favorite pattern. Thank you for TRICK or TREATING with me here at Life is Like a Box of Chocolates! Now don't forget to enter...see rules below. To enter Leave me a comment before midnight on Thursday, October 7. Please include your first name. Comments left without a name will be eliminated. No duplicate comments are allowed. Duplicate comments will be eliminated. Winners will be selected via random draw at http://www.random.org/. 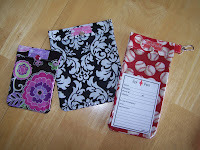 Winners' names will be posted here on this blog on Friday, October 8. 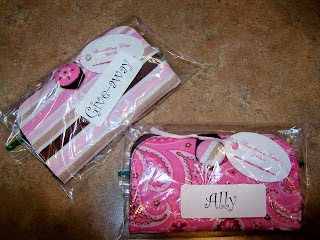 After winners' names are posted, winners will have 48 hours to send a message to me at boxofchocolatesblog@hotmail.com. If I do not hear from a winner within 48 hours, I will select a new winner.